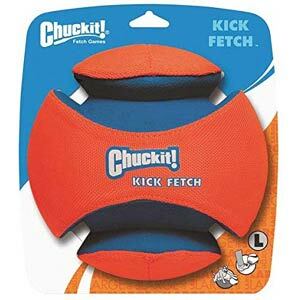 Chuckit Kick Fetch is a durable, puncture resistant dog football. It is the size of a football, lightweight, bouncy, floats and won't pop. Wow! 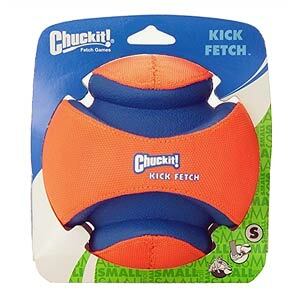 Perfectly named, the Chuckit Kick Fetch is a big, lightweight dog ball that you can kick and your dog can fetch. Even if you are not much of a David Beckham, you will be amazed how far this ball will travel when kicked. 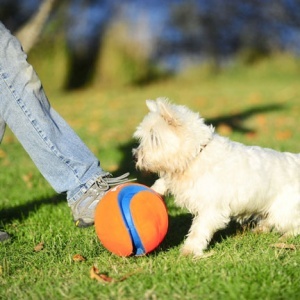 Great fun for you and your dog. 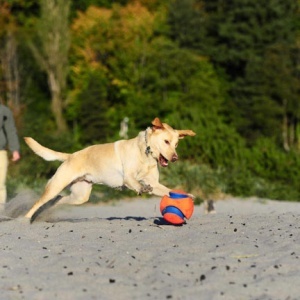 The special grooved shape means that the Kick Fetch is so easy for your dog to pick up. 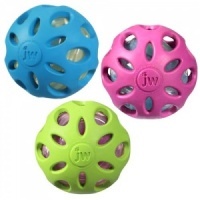 And if your dog likes to try to ‘kill’ the ball before bringing it back, have no fear… this ingenious ball is puncture resistant. It is not full of air so it can’t be popped. 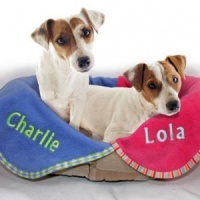 It is made of durable canvas, rubber and compressed foam. It may end up with teeth marks but at least you know it won’t ever pop. This ball is big. To give you an idea, the large size is similar in size to a football. 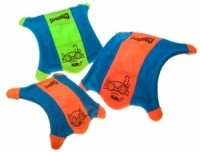 The vibrant orange and blue colours means it has high visibility. On land it has quite an impressive bounce and did we tell you it also floats. Yep, it is great for land and water games. Ideal for interactive play. very good delivery and product. My Golden Retriever loves it. Great product Monty played with it for hours. Good service and prompt delivery. Dog loves it . No worries about it bursting, a safe way to have hours of fun.. So superior to other balls. One happy dog, one happy owner. Ianto loves his ball! It was a birthday present to try to encourage him not to go and play mid-field with the footballers in the park. Now he has his own ball, he can dribble, save and has even done a couple of spectacular headers. 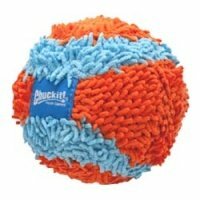 It's pretty tough, washable, light to carry and soft enough to play with inside and out. And as an added bonus, because he refuses to pick it up the easy way, we occasionally get to watch him try to detach it from his teeth when he's insisted on opening his jaw like a snake to carry it. And apart from said teethmarks, it's showing no signs of wear a month on! All in all it's a brilliant, brilliant thing! The ball is useless. I have bought three and they last a few days at best. My dogs easily rip them to bits and the internals fall apart and leave a soft plastic everywhere. This is not a robust product. My 6 month Newfy cross poodle loves this. 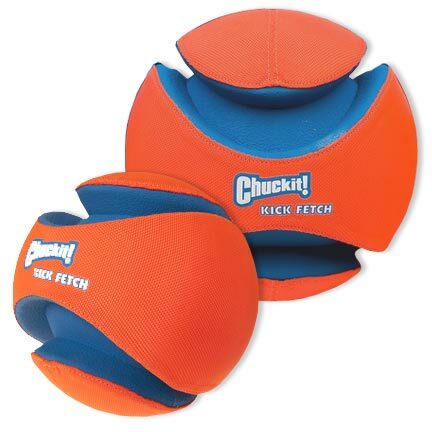 It's light, easy to kick and throw. She can grab it in her mouth and it seems pretty indestructible. Happy dog happy owner! Our Deerhound has managed to destroy every ball he has had until this one except for ones which are too hard or too heavy to kick. This is a really good compromise - completely chew resistant yet soft and light enough to kick around. This ball is excellent and everyone I meet over the park enquires about the ball. So far my dog has not been able to destroy it and the other dogs in the park all seem to like it! !